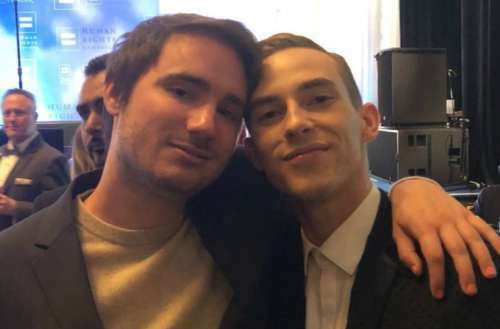 At Saturday evening’s Human Rights Campaign dinner in Los Angeles, Sally Field’s son Sam Greisman finally met his crush: out Olympian and “America’s Sweetheart” Adam Rippon. His tweet referred to 28-year-old figure skater Rippon, the openly gay competitor who calls himself “America’s Sweetheart.” Greisman mentioned his Olympic crush to his mother and then shared a screen shot of her text message response via Twitter. We’re not sure what else happened last night between the two, but Greisman’s Twitter audience jumped to conclusions and couldn’t help but share their excitement. 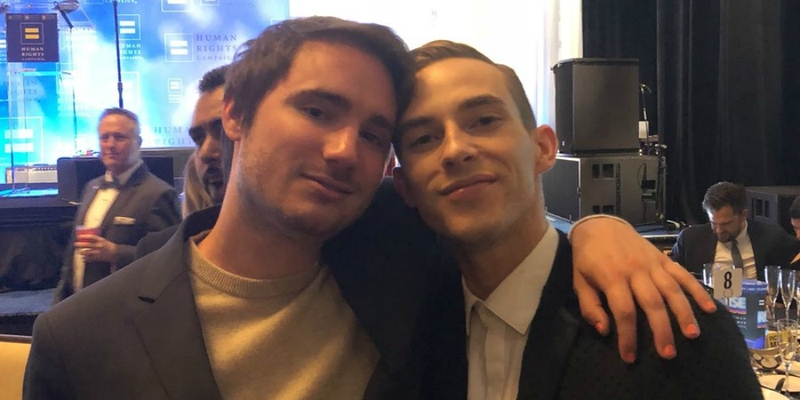 What do you think of the Sam Greisman and Adam Rippon meet-up? Sound off in the comments below and on Facebook.